Growing up in a working family, Tye saw his family taken advantage of by insurance companies on a few occasions, most notably after a tornado destroyed everything his family owned. After becoming the first person in his family to get a college degree, Tye got his law degree from The University of Oklahoma Law School and now does what he can to help protect other people who don’t have the means or knowledge to fight those who are trying to take advantage of them. Tye joined the firm in 1992 and has always placed an emphasis on providing our clients with top notch representation in the court room. Tye is the Senior Trial Attorney and Director of Litigation for the firm. 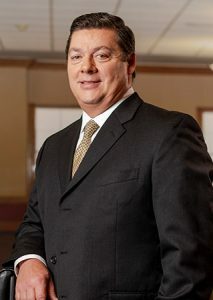 He concentrates his practice on personal injury, products liability, wrongful death and insurance bad faith litigation. Tye has successfully tried cases for our clients all over Oklahoma. He has persuaded major insurance carriers to change their claims-handling procedures through his pursuit of bad faith litigation and has persuaded major manufacturers to make their products safer through product liability litigation. In 1998, he sued Allstate for bad faith because of its policy of requiring its insureds to sign a release in exchange for payment of undisputed benefits due under their uninsured motorist coverage. After obtaining a favorable ruling from the court on the issue, the case settled for a confidential amount. Immediately after the settlement, Allstate changed its claim-handling procedure on this issue. In 1999, Tye obtained a landmark published opinion from the Oklahoma Supreme Court in Burch v. Allstate that was a major victory for clients seeking underinsured motorist benefits. This decision literally changed the way every insurance company has to handle underinsured motorist claims in Oklahoma, making sure that policyholders get the benefit of the coverage they purchased. In 2004, after growing tired of insurance companies refusing to pay fair compensation on minimal property damage cases, Tye pursued a minimal damage rear end collision case against a trucking company all the way through jury trial and obtained a $750,000 verdict. Tye would later obtain a $1,000,000 settlement for another client involved in a minimal damage rear end case after completing a two week bench trial where it became apparent the Court was going to rule in favor of our client. In 2010, Pat Carr and Tye began suing the manufacturers of lamp oil after a child died from drinking the lamp oil, believing it to be apple juice. As a result of the litigation, the manufacturers agreed to change their packaging to make the oil less attractive to children, thereby protecting other families from ever having to suffer a similar tragedy. In 2011, Tye pursued uninsured motorist benefits for a Geico insured who was injured when his car hit a tire tread from a semi truck that had been abandoned in the highway. When Geico refused to honor the uninsured motorist claim, Tye sued Geico and obtained a favorable legal ruling from the court, followed by a verdict in excess of the policy limits. This is the only case known of anywhere in the United States where an insurer has been required to pay uninsured motorist benefits due to a wreck being caused by a tire tread that was left in the roadway. In 2015, Tye obtained a published opinion from the Oklahoma Supreme Court finding that a driver whose vehicle was not directly involved in a collision, but whose vehicle set in motion a chain of events that led to the collision, could be held responsible for the death of a motorist involved in the collision. Tye is passionate about holding wrongdoers accountable and making our communities safer by standing up to corporate America and greedy insurance companies. When not practicing law and spending time with his family, Tye enjoys fishing and hunting. Burch v. Allstate Ins. Co., 977 P.2d 1057, 1998 OK 129 (Okla., Dec. 22, 1998). This published decision requires all uninsured motorist carriers in Oklahoma to pay their insureds the full amount of their uninsured motorists claim without allowing the insurance company to deduct the available liability coverage. Nichols v. Allstate Ins. Co., CIV-98-22-M (U.S. Western District Oklahoma). Bad faith case resulting in Allstate changing claims handling procedure (see above). Quiver v. Emerson, CJ-95-240 (Grady County District Court, Oklahoma). Jury trial resulting in significant damage award for man accidentally shot by ex-wife. Phares v. Kelly, et al., C-95-400 (Pittsburg County District Court, Oklahoma). Persuaded court to allow case to proceed against motor carrier lessee despite truck being on personal mission of driver/owner at time of accident. Obtained directed verdict at trial on liability and significant jury award for damages. Tatum & Underwood v. City of Oklahoma City, CJ-97-2621-63 (Oklahoma County District Court). Two motorcyclists riding on land owned by City of Oklahoma City were injured after falling off a cliff created by City. Overcame City’s claim of exemption under Tort Claims Act and Recreational Land Use Act in bench trial. 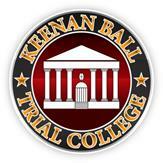 Obtained significant jury verdict for clients at trial. Madden v. Hughes County, CJ-94-106 (Hughes County District Court). Battled Hughes County for eight years through appeal and jury trial in case involving dangerously narrow hill crest where two cars hit head on. Sued County, alleging it should have widened road due to notice of dangerous condition at hill crest. Obtained what is believed to be the largest jury verdict in Hughes County. Glass v. Cross Country Freight, et al., CJ-04-225 (Hughes County District Court). Obtained $750,000 verdict for client who suffered herniated disk in rear-end collision case involving minimal property damage. Moss v. Oklahoma Health Care Authority 2009 OK CIV APP 102, Obtained published opinion from Oklahoma Court of Civil Appeals holding that Oklahoma Health Care Authority was only entitled to recover subrogation if settlement on behalf of client included payment for medical expenses. Semler v. Geico – Obtained favorable legal ruling on uninsured motorist claim against Geico followed by jury verdict in excess of policy limits. Likowski v. Jim Norton Toyota – After two week bench trial, $1,000,000 settlement for client involved in rear end collision with no visible property damage. 1989 – Bachelor of Arts, Political Science, Carl Albert Political Studies Center, College of Arts and Sciences, University of Oklahoma, Norman, Oklahoma. 1992 – Juris Doctor, (with Distinction), School of Law, University of Oklahoma, Norman, Oklahoma.